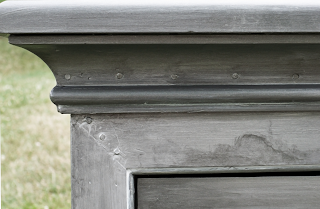 By complete accident I stumbled upon a fabulous faux zinc tutorial I just had to share with you. So it got me thinking - Knowing just how much work goes into great tutorials, they really don't get the credit they deserve. Therefore I'm launching a new feature: Steal This Idea*. I'm not usually a big fan of faux finishes (im looking at you courtland of design star!) but I'm making an exception here as I was totally impressed with this one. Not to mention, real zinc furniture is out far out of my price range. The technique complete with detailed explanation and video tutorial comes from the lovely Jami of Freckled Laundry. I don't think I'm brave (or patient enough) to try it on a whole piece of furniture as Jami did but I think would be such a great look for something smaller. Maybe a cool art piece? Or a new finish on an old find? What do you think? Hope you are all about to kick off a fabulous weekend. I'll see you next week. That is a super rad idea. I'm generally not into faux finishes either, but this looks amazing. If only mine would come out that professional looking. It might be cool on just a table top. If you can handle that evil painted newel post of yours or all the "stumpy" sanding you could handle it!! Ooooh, girl, I love the look and think the idea of having a 'steal/borrow' feature is neat!!! Be sure you put a sidebar or some connecting place for us to "go to" when we want only to search for this feature!! I meant to tell you I gave you another shout-out today! Love your site! I'm with you completely about the faux finishes. This is a great one though. I have a client who wants a zinc dining table but it's out of the price range. I just may steal this idea and see what it would look like on a table. That's great. I think it might work really well on photo frames. They're small enough for my patience! That is really beautiful! Wow..... This doesn't mean sponging is making a comeback??? Those two words "faux finish" just makes me cringe... I'm particularly thinking of my first flat's hallway in the UK which I painstakingly ragrolled in 2001, innocently thinking it was actually still in style (looking back, I don't think it was). Trading Spaces/Changing Rooms, I blame you! 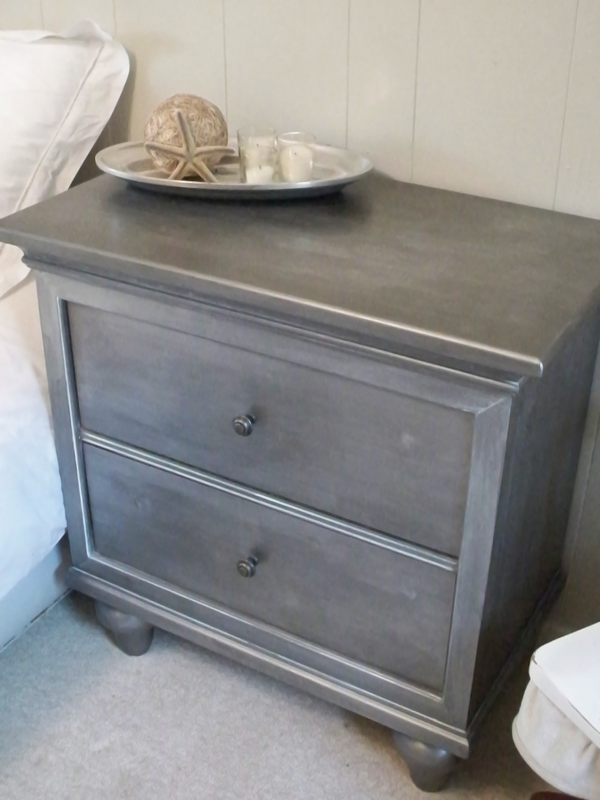 I loved this intorduction to zinc and then it's budget friendly alternative. I'd love to see it in more rooms as a design element. Back in the 1970's I took ceramics. I painted a "I Dream of Jennie" vase that was zinc colored which I had completely forgot about until this post. 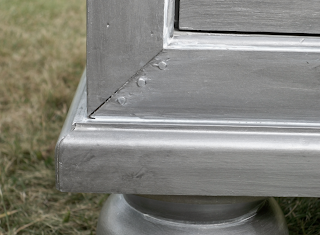 The zinc look is fabulous looking. I LOVE this idea. Thanks for the inspiration. I'm glad to see you are interested in giving proper credit!